My family lived in Troy when I was a boy in the early 60s. Our house was on Austin St. right across the highway, I could see the movie from my bed. In those days Austin St. was homes with big lots, we had about 2 acres. A lot of families on that street had small farms in the back of their houses. We had an Allis Chalmers tractor and a Model A ford in the back yard next to the barn. I remember going to the drive-in in my pajamas and wake up in my bed the next day. Every 4 of July they would have fireworks. Remember when 15 Mile Road was so curvy, so dangerous going to the Troy Drive In. The fog was so thick at times. But they finally straightened the road out and as the city grew around the fog disappeared. I remember them building 75, watching the workers as we were waiting for the movie to start. We used to stop st Aimes market on 15 mile to get candy for the show, it was the only store around, the owner used to polish rocks to make necklaces and other jewelry. When the movies finished on the weekends the police were there to help you get out onto 15 Mile Road, that was later when there were more people living around Troy. Wonderful times!. 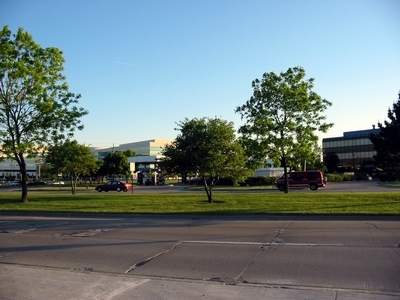 Grew up in Madison Heights JIM ROBBINS had his private airport to the south of the drive in. One night during the movie a plane took off from his airport and came over the top of the drive in screen. Scared the daylights out of our family. I also worked at the Troy D. I. It was the summer of 67. I worked in the concession stand. I remember my wage was 90 cents per hour. I remember going there in the early 60s to get a polio vaccination. Actually it was a sugar cube with a drop or two of the vaccine. The cars would form a line and you would come to the nurses station and they would see how many kids and give each one a sugar cube. We saw The longest day there when it first came out. Going there for the 4th of July for the fireworks. Good times. Good memories. I also went to Mark Twain elementary and Mary Lyons jr high. I understand both are gone now. Like they say, you can never go home again rings true. I grew up in Troy and my parents took my brothers and I there all the time. Remember the truck oiling the dirt so there was no dust and the truck spraying for mosquitos? Troy Drive In was the coolest place ever. 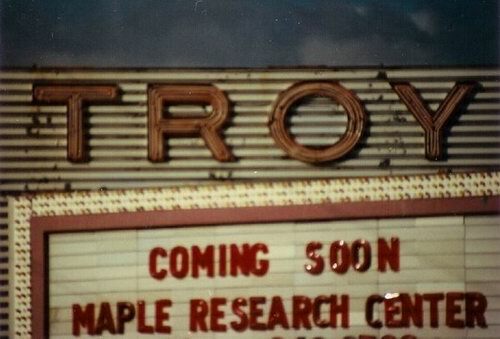 Troy Drive In was my first job in 1970 when I turned 16 years old. I was hired in at $1. 00 per hour to cook french fries and pop -pop corn-which I must say was the best pop corn ever. I would take bags of it home providing there was some left over. I tried running the register one night, but everyone was in such a hurry for intermission I panicked and was taken off and back to the cooking. Talking about driving down I-75 and seeing the movie play, I was growing up when they built I-75. Best times ever. Best time to grow up ever. 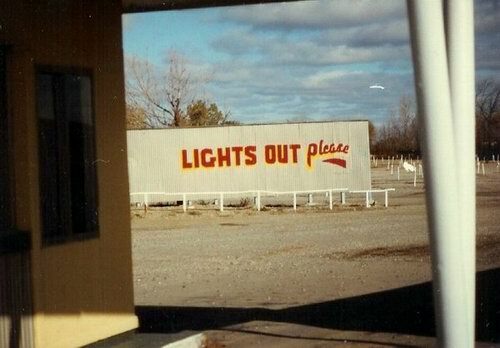 I grew up in Troy and begged my parents to take me to the drive in- never happened. I love reading the stories of others below I had a chance to go to the Mt. 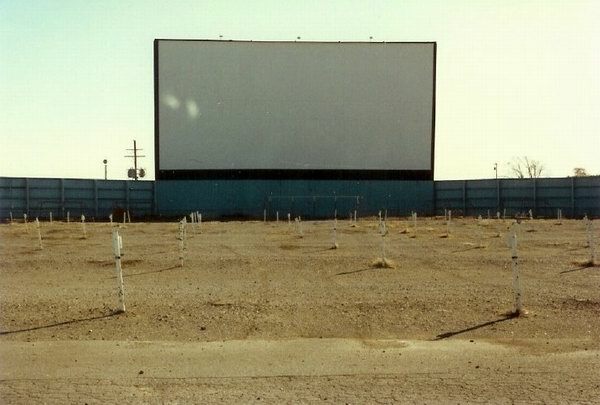 Clemens drive in when I got my license in 89''How cool would that be if this Drive In still stood today? Guess they didn''t think about that back in 84'' Just what Troy needed, another industrial complex (medical research area. ). I remember working at the troy drive in in the 80''s my father was the business agent for local 199 and i was the projectionist there. The brooks brothers were still there and I remember working one night and there was a fire in the booth and I got out and the brooks brothers told me to go back in and put out the fire I laughed at them and told them I was not a firefighter and I was not going back in after that I told my dad i quit and would not go back there. I have VERY fond memories of the Troy Drive-In. My husband and I went there on dates and he proposed to me there. We''ve been married 41+ years. Love the pictures. Don Hughes, the manager, was our next door neighbor. He lived with his mother and had a boxer dog that my brother used to walk. He always gave us free passes to get in to the Troy Drive In. Usually the girl in the booth would just look at it and hand it back to my dad. He just kept it tucked under the visor for the next time! Yes , the amusement rides were operational; I remember riding that little ferris wheel more than once. And the swings would go so high and I''d jump off into that pea gravel - I loved the sound it made when I walked through it. I suppose it would be banned today! Yeah that mosquito stuff did smell bad. Remember the heaters that you could pull in through the window on cold nights? I almost forgot about the fireworks - I hated those big BOOM ones! We would sit on the hood of the car to watch. I worked at the Troy Drive in from 1967 to 1975. In the concession stand and out in the field. Fireworks were displayed every holiday and the Ferris Wheel was the big attaction for the kids. 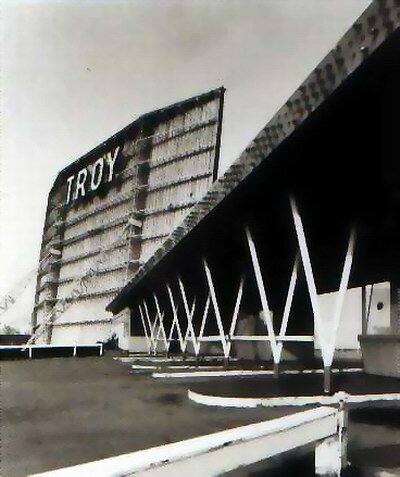 The Troy Drive In was one of several Drive Ins within a 10 mile radius. You couldn''t beat the price Double features for two dollars a car load. The people that worked at the Troy were like a close knit family and many worked there for several years before moving on to other things. Don Hughes and the Brook brothers were super people. Leonard Brooks would stand out as the cars drove in with quarters swiiching from hand to hand like he was dealing a deck of cards while Bernard would greet everyone coming in. Ahh those were the good old days. If any one has any information on the whereabouts of Bernard Brooks I would very much appreciate it. I have called all the Bernard Brooks in MI and cannot locate him. 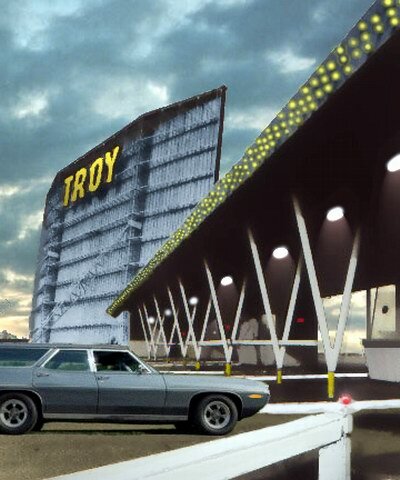 The Troy drive in was an Icon and a childhhod memory landmark. I remember going to the drive in with my parents in a 64' American Motors rambler station wagon in my pajamas laying in the back with the backseat folded down and my head propted up on the back of the front seat to watch many movies. I remember the big Troy Drive in sign that you could see looking north at the intersecton of 13 mile and Stevenson Hwy a couple of miles away. 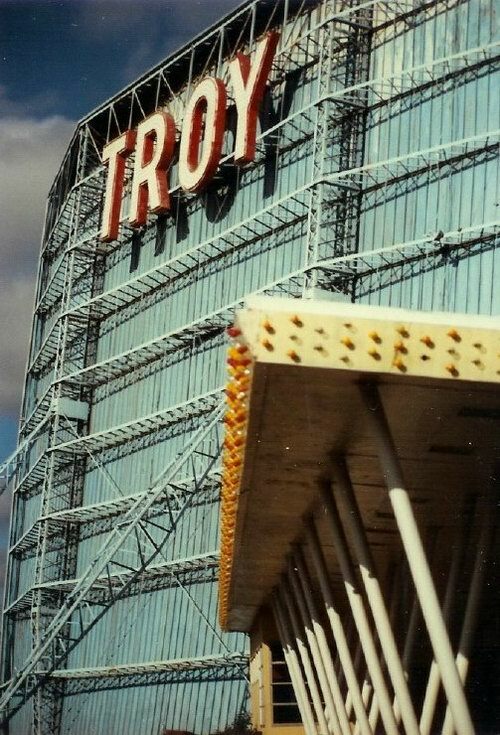 The Sign would come on at dusk, each letter would light up individually (in yellow) when all the letters were lit the word TROY flash a couple of times then start the process all over. I believe that sign was made up of hundreds of small syncronized lights. In the 60s the outside of the screen was painted black which was then painted light blue in the early seventies. I also remember driving south on I-75 at night next to the Troy drive- in to get glimpse of the movie playing, My sister and I would tell Dad to slow down so we could see more of the movie. Instead, sometimes he would speed up to get past the drive in because what was on the big screen was not appropriate for children. We laugh about it now. I worked at the Troy Drive-In off and on from 1976 to 1982. During that time my family and I became good friends with Don. In response to the question regarding Don Hughes, he worked at the Troy Drive-In until it was sold. Then moved to Spring Hill Florida shortly after. Don was Don as any one who knew him could tell you. He never changed his way of life, lived it to it's fullest. Don died of complications due to his emphazema (he still smoked) and an virus he caught while recovering in a rehab facility,in Florida, in late 1998 or 1999. I'm not sure of the year. Don never married, but my family and I considered him a great friend. I grew up on Chicago Road which was off 15 mile road between John R and Stevenson. 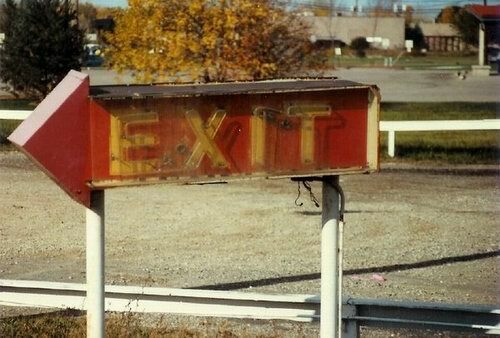 I remember going to the Troy Drive-In many times, as a young girl, playing on the swings etc, before the movie started. I will never forget that smell when they sprayed for mosquitos at the drive-in,Yuck! I also remember going with girlfriends and drinking coke with aspirins, supposedly to get a buzz! And strawberry wine. I also went with boyfriends a few times. I named my son after The Nuns movie(?) (Dominique) I will never forget the Troy Drive-In. We could see the fireworks from our front yard, a front seat view. I remember going there a few times before it closed. One thing that always puzzled me, did they ever have any of those kiddy rides operating in the playground? They never seemed to be working everytime I went there. And they had a nice little ferris wheel that seemed like a lot of fun if they would of had someone to operate it. As a kid I grew up in Madison Heights and can remember seeing the Galaxy Drive In sign from the roof of our house. Then in 1979 my family moved to Troy, and the old Troy drive-in right next to I-75, you could that place for mile it was so big. In the early 80s while in high school I went there several times, twice in the trunk of a car with my friends, I wish I could remember what we saw there. 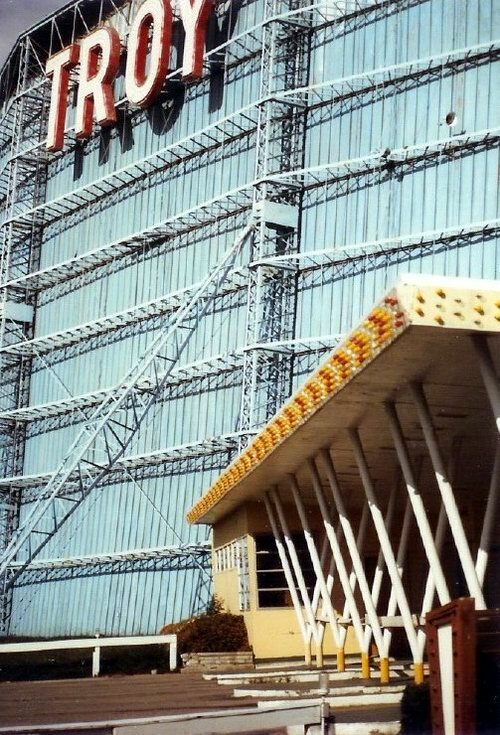 I remember the day they dropped the screen at the Troy around 1984, and today there is a big office plaza there, and you would never know a drive-in was there. (Tom Elmore 11-30-99). I also worked there in 72,73 so it was still open. I was the projectionist their after R. C. and worked with Pat Thul. I had a great time there. I grew up in Royal Oak and my friends used to stop by and see me. Does anyone know what happened to Don, the manager?. The B&L Brooks theatres stood for Bernard and Leonard Brooks. Neither of the two brothers were married (I believe) and at one time owned other theatres. 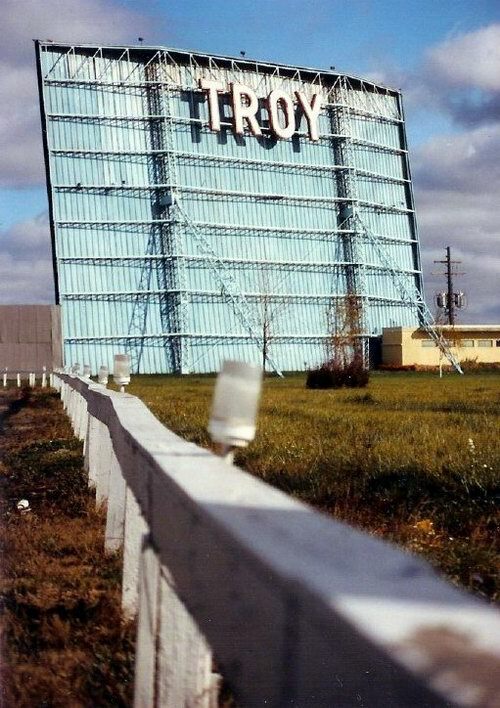 (from what I remember them telling me) The Troy was my first drive in job as a projectionist with local 199.